Listening is a state of absolute receptivity…you don’t expect anything and you don’t want anything. This state of receptivity also applies to listening to music, and even to the visual world. Broadly speaking, we can listen to a painting or a photograph in the same way we listen to a symphony. We can take it in, initially at least, without going on and on about it inside our own minds. 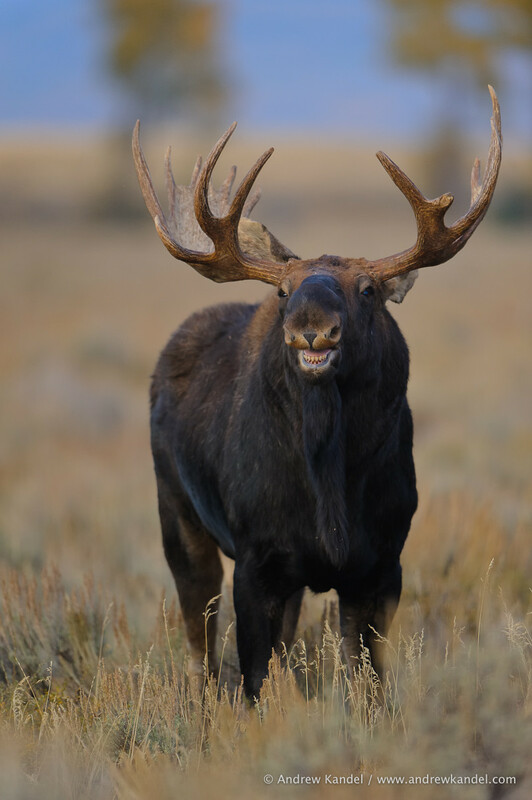 I would venture to say that engaging in creative work is possibly the best way for us to learn how to listen, because one side of the creative process is very much about relinquishing control, about being receptive, about…not wanting anything. This is how we generate or accumulate the material from which we ultimately make something that has form, utility and meaning….Creative work gives us a chance to practice the art of simply taking things in without succumbing to the urge to dominate them. If you allow yourself to really listen when someone — or something — is trying to speak to you, you’ll uncover more from what’s being said and be able to take that into your work. It isn’t easy, as David points out, but learning to actively listen, by doing more free-flowing creative work, might be enough to inspire new ideas in us. Read the full article over on The Creative Organization blog. 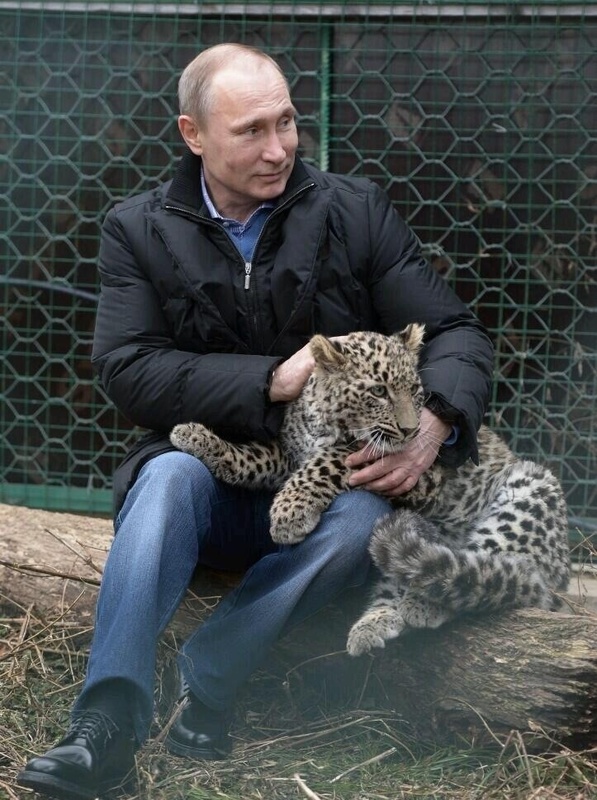 Vladimir Putin cuddling with a Persian leopard. Just prior to this, the Leopard attacked a journalist, bit his leg and drew blood. 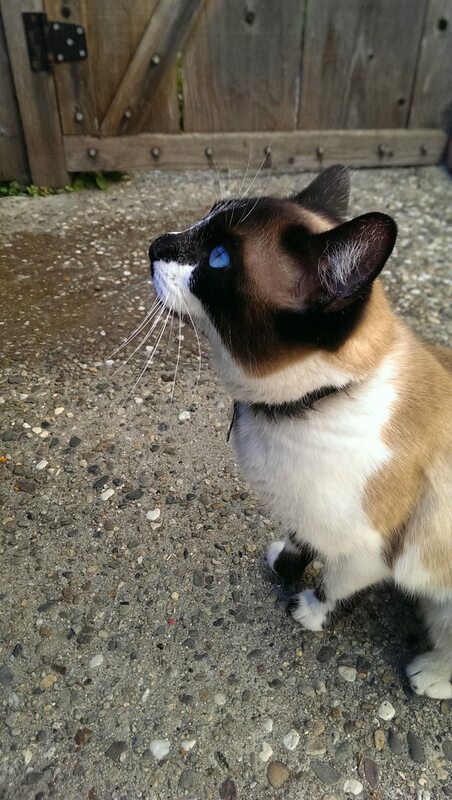 This is Arlo, he isn’t mine, but he comes to my back yard every morning to let me pet him.